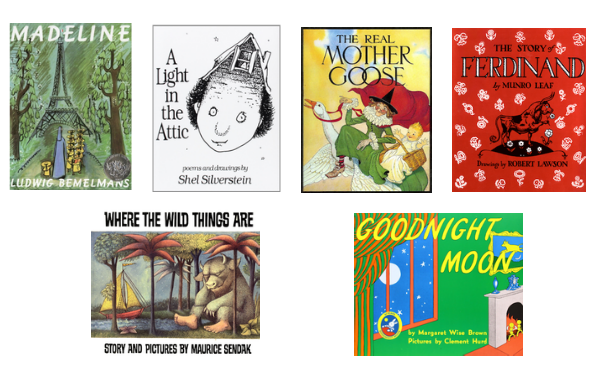 If you have been following DoSayGive, you know that I love two giving two things: simple yet meaningful gifts and wonderful children’s books. Well, there is a precious new company that is combining both of these passions and I am so excited to share it with my readers. Tiny Bee Gift Co. is the name of the company. And when you buy a children’s book from them, they will give another book to the school library of your choice. It’s such a great idea for a children’s birthday present or even a Christmas present. But here’s the sweetest part about the gift (besides the fact that one book is donated! )): Inside the from cover Tiny Bee puts a library-type sleeve with a card that says who the book is for and who it is from. 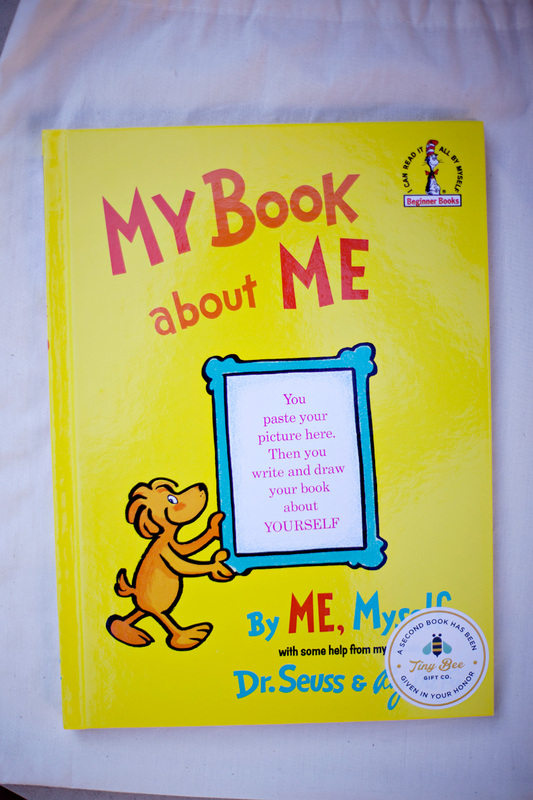 The card also says that a book has been donated in the recipient’s name. How thoughtful! 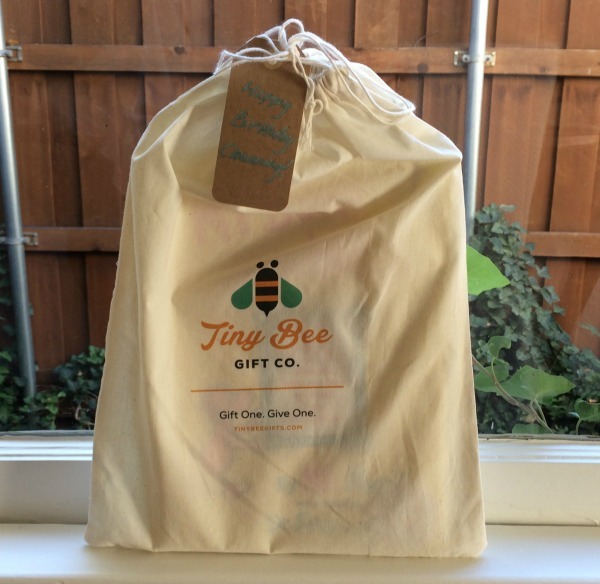 As I have written about before, I think it is so important to always write an inscription when you gift a book, but here Tiny Bee Gift Co. does it for you and in such a beautiful way! Tiny Bee’s book gifts run from $20-$30, which is pretty good considering that includes two books (one for you to give and one to be donated). Upon check out, you will be asked what school you want the donated book to go to or you can let Tiny Bee choose for you. 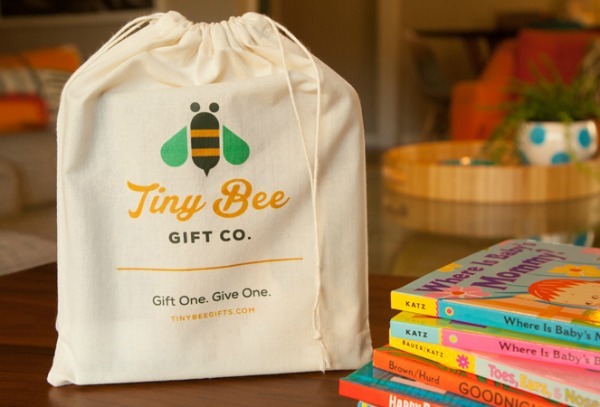 Tiny Bee Gift Co. packages their book gifts in nice canvas bags. The bag is so cute that I didn’t feel the need to wrap it. So I just added a gift tag and called it a day! 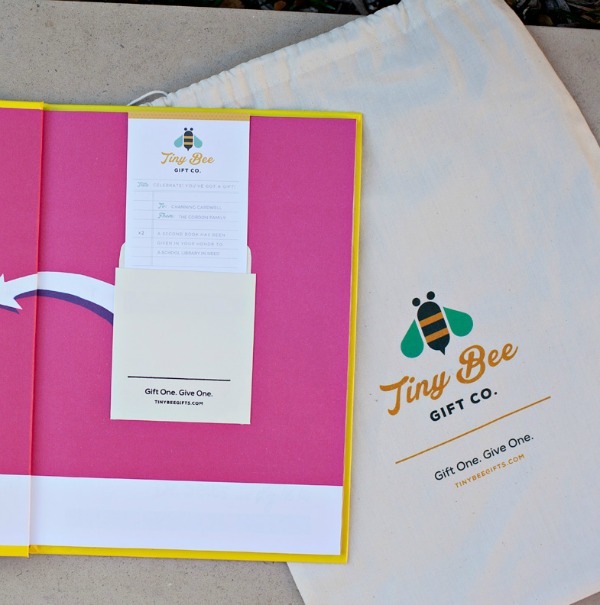 Tiny Bee book gifts are great for children’s birthdays. (I wrote a whole post about that here.) 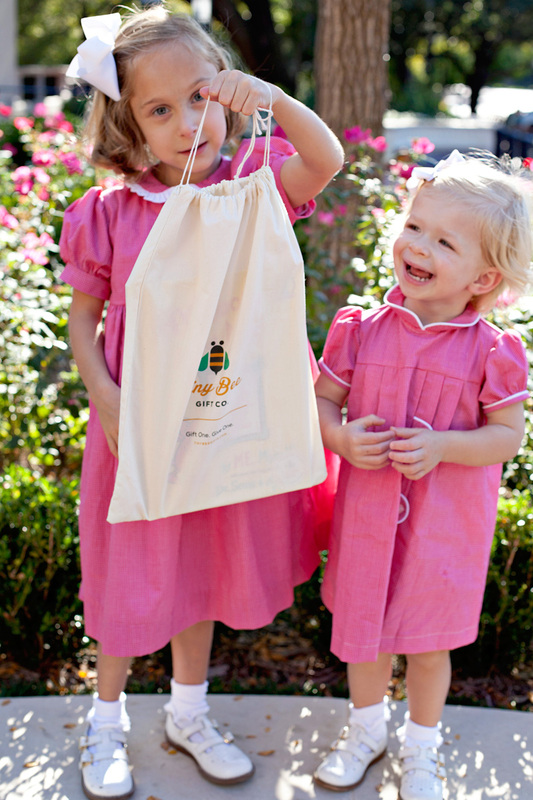 They make for a great alternative to junky toys and would be much appreciated by the parents! Visit their website: www.tinybeegifts.com to see more of their products and let me know if you order one and what book you choose! See more great gift ideas for children here. This is too cool! Thanks for sharing. Glad you liked it, Tori! Please share the idea! 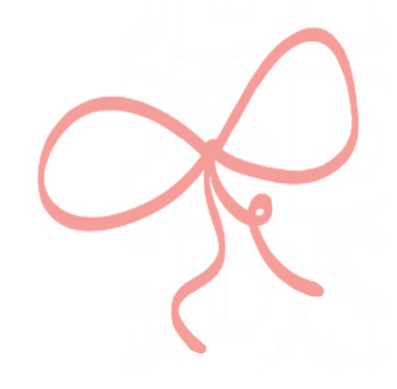 100 Days of Real Food Cookbook: A Great Gift…And A Giveaway! Baby in Bonnets: A Must “Do”! The Mason Bar Company: Obsessed! The BEST Friend/Teacher/Family Gift Under $10!